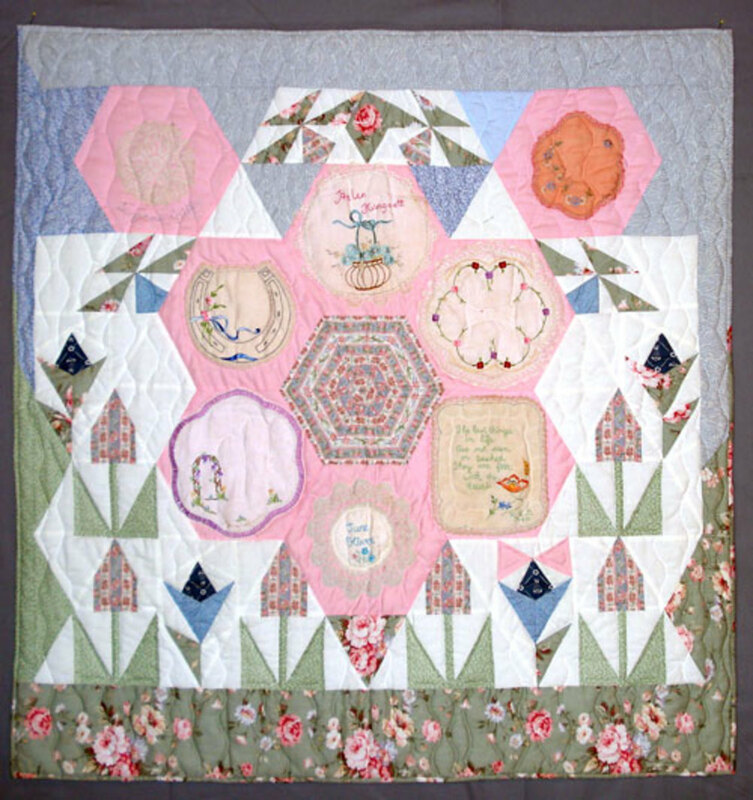 My mother came to visit for a few days in 1983 and she showed me how to make a paper pieced hexagon. I was fascinated by the possibilities and made a few cushion covers with fancy edges around the hexagons. 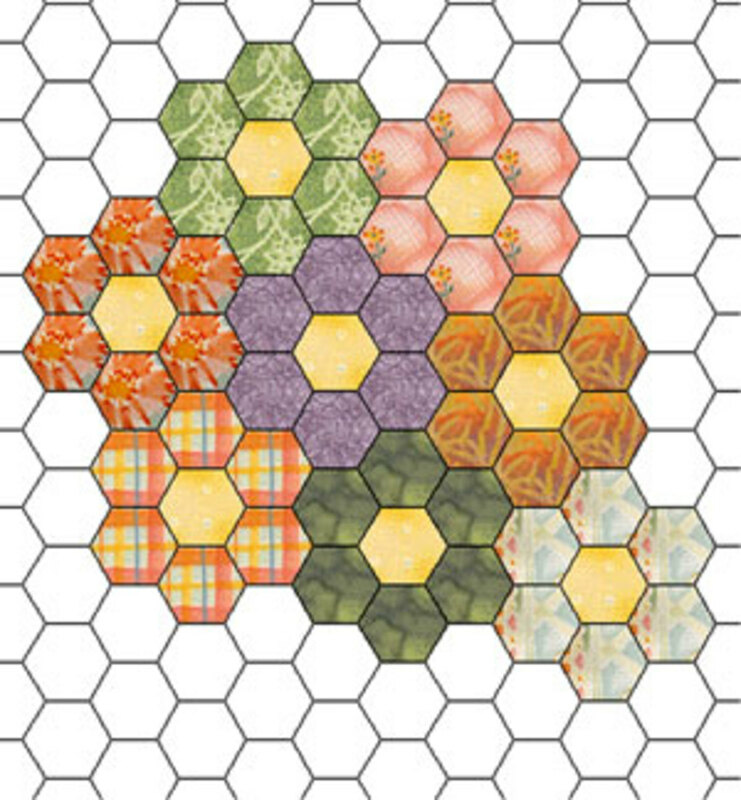 I began to play around with these hexagons that I was tacking over papers to see what else I could make besides rosettes. 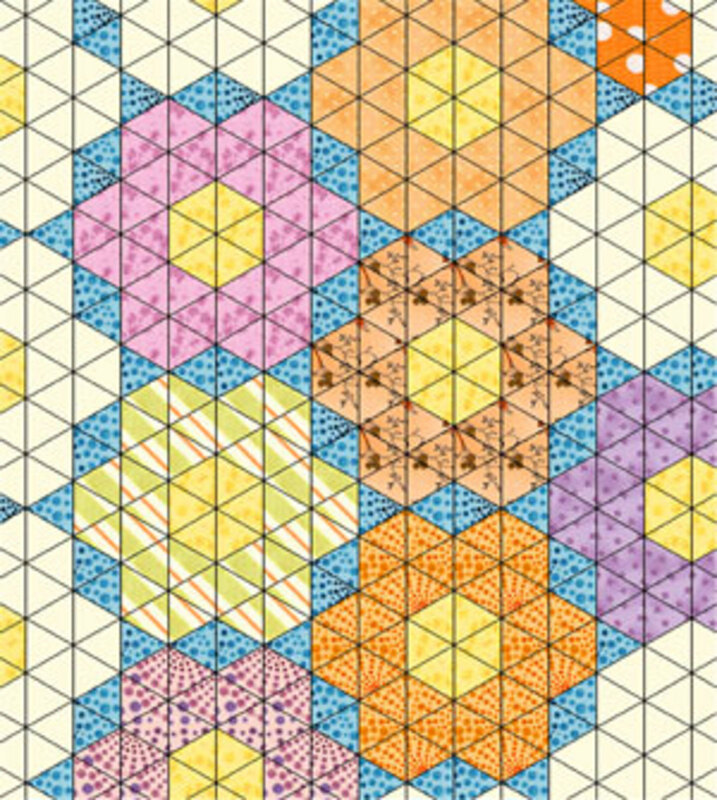 Unaware that you could buy isometric graph paper, which would have made designing faster, I continued to fiddle with designs using the hexagon patches. 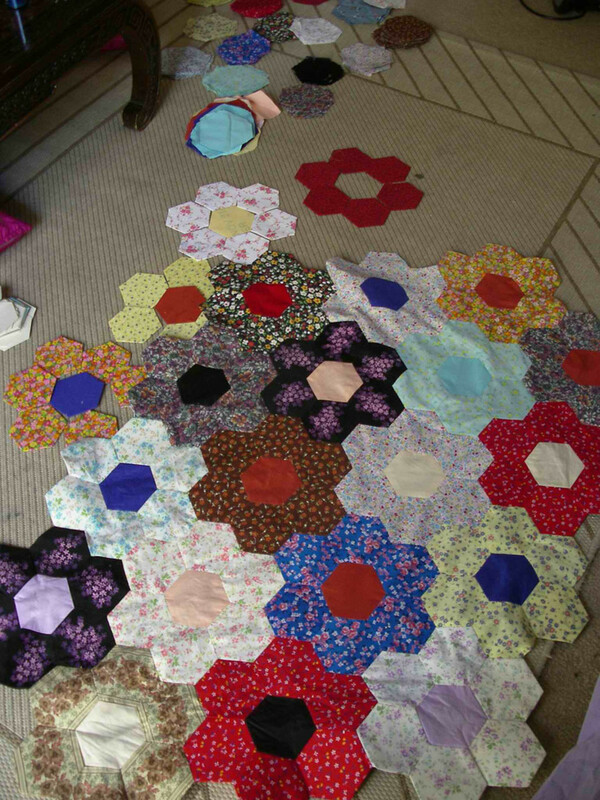 I am busy making my hexagon flowers — what do I do next? With a plain colour between each flower? How do I finish the edge? Or leave the edge uneven? How do I attach a sashing or edging by machine?" 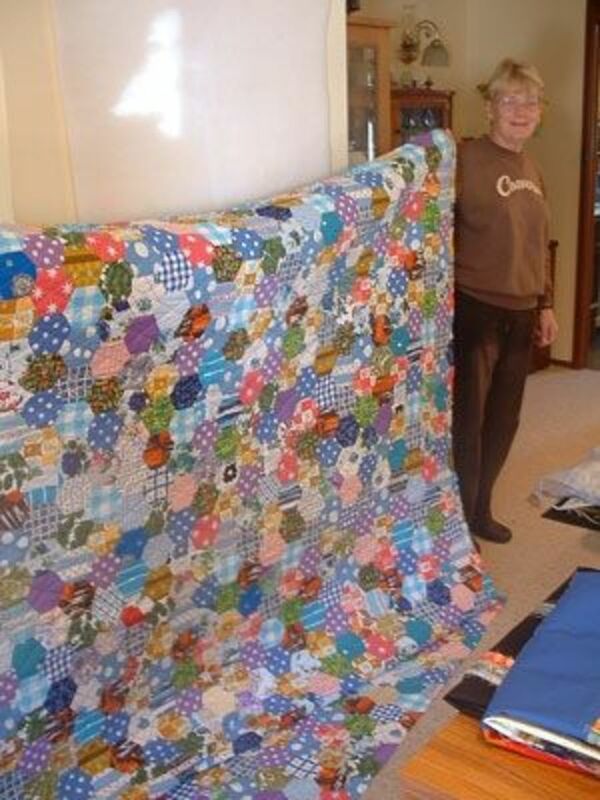 Join the hexagon patches randomly (like Margaret did above) or in a colour gradation. 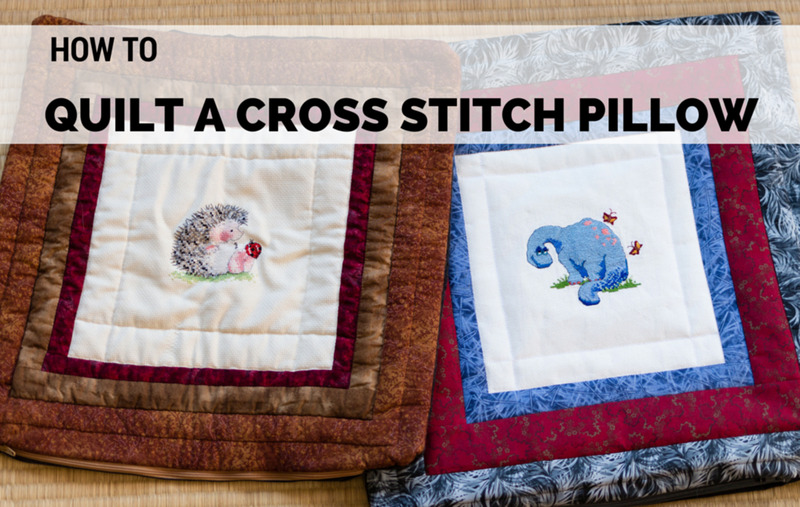 This article is not meant to be instructions on piecing these, but I have included a video in case you are unfamiliar with the English method of paper piecing. 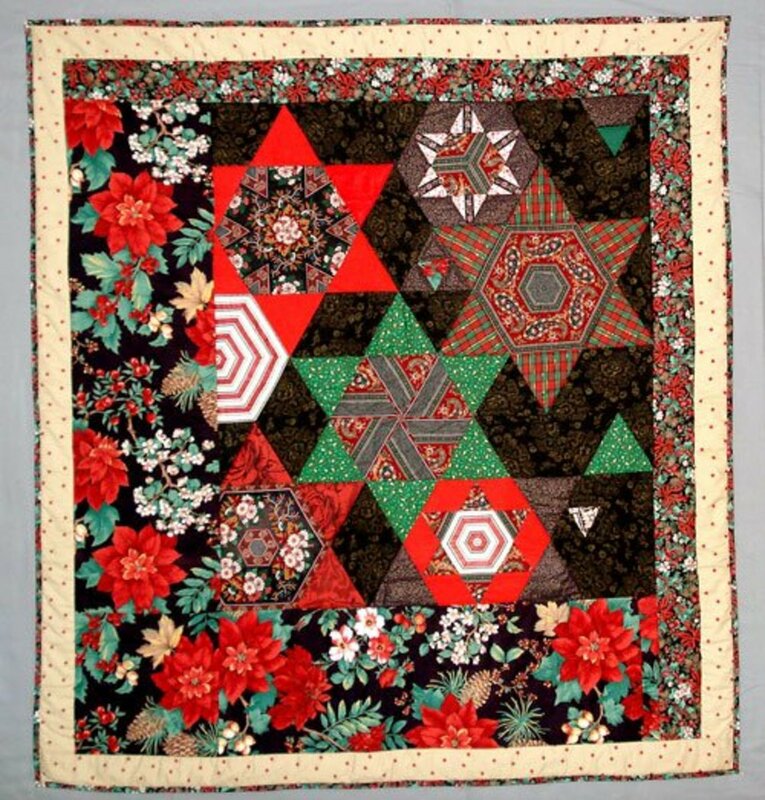 A hexagon is based on a circle so it can't be turned into a traditional block for a quilt. Looking at the graph paper diagram, you see that it is composed of six equilateral (60°) triangles. 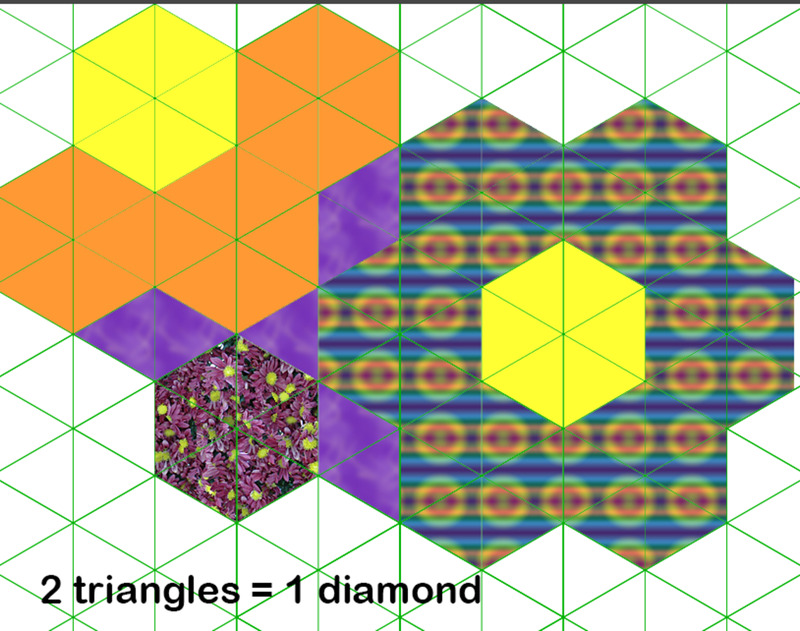 These triangles form diamonds when two are joined. In the diagrams, I show how that works when designing. 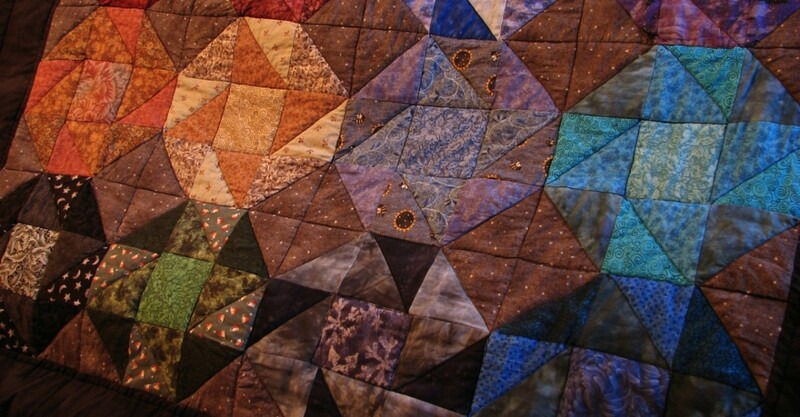 English paper piecing requires one paper template (often old letters in the past) for every patch on the quilt. 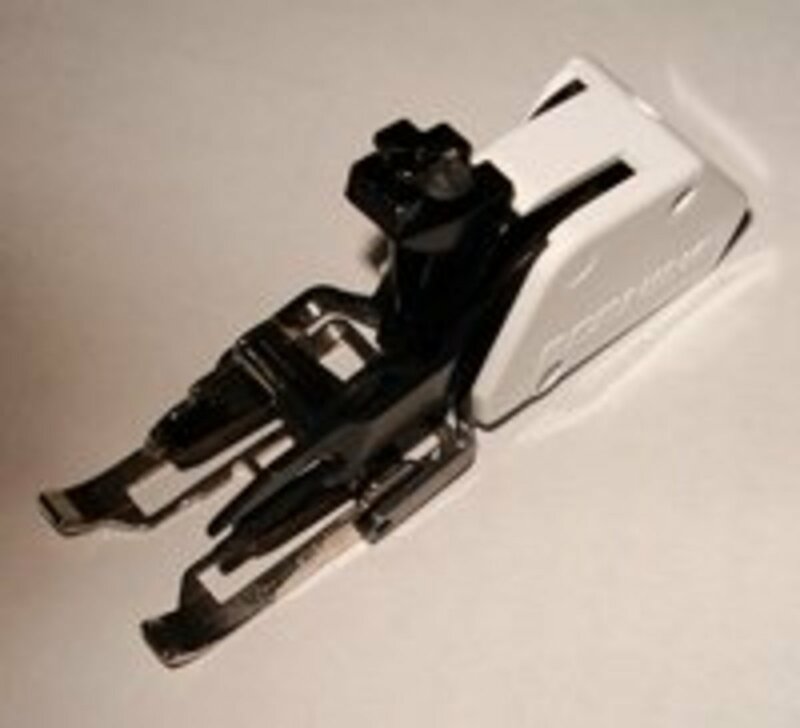 I used to take out the ones from the middle to eke out my supply and reuse them as I worked outwards. 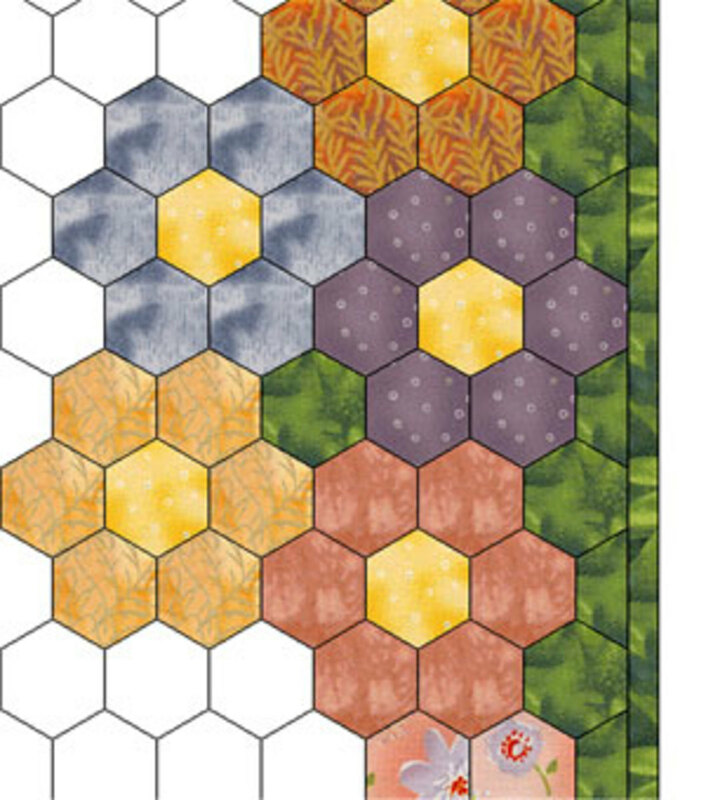 Hexagon templates are available online or you can search for instructions on how to draft them. 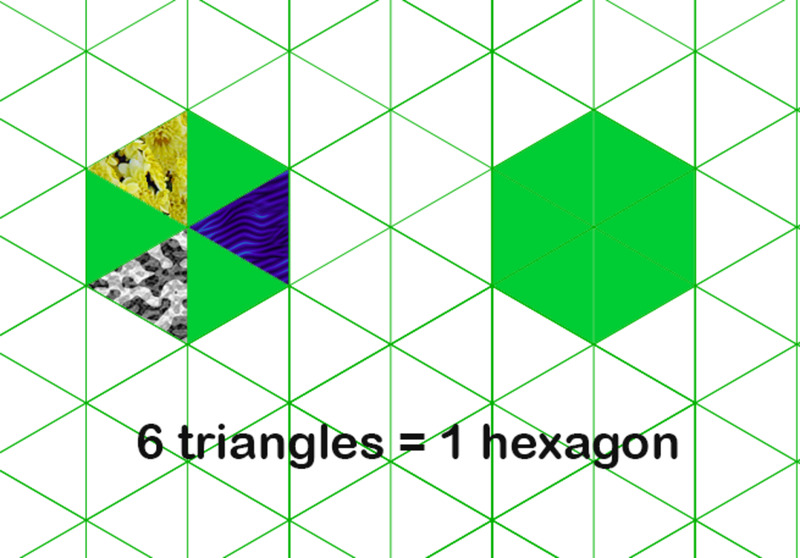 Templates for diamonds and triangles are drawn from the hexagon template you start with. 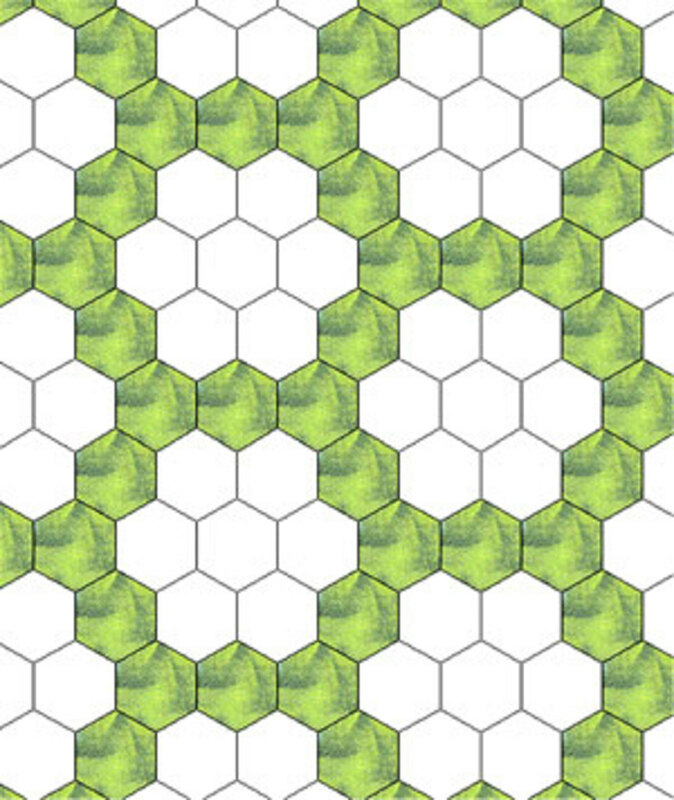 Half-hexagons for making straight edges are also drawn from the original sized template. 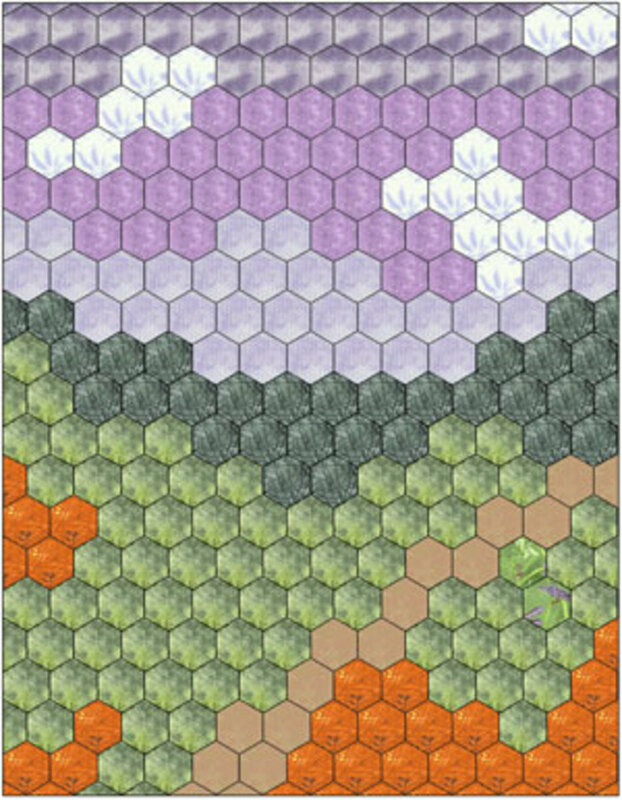 Printable hexagon templates for your creative craft or project. Can be used for decorations, stencils, labels and printable stickers. Isometric Triangle graph paper, if want to do more than hexagons. There's a link below for free printable graph paper. Colour one hexagon, in the centre of your paper, yellow to represent the flower centre. Colour one of the next rosette petals adjacent to one of the first petals. Once you have made some rosettes, you can use the colours of your fabrics on the graph paper. In the past, the path was almost always mid to dark green. 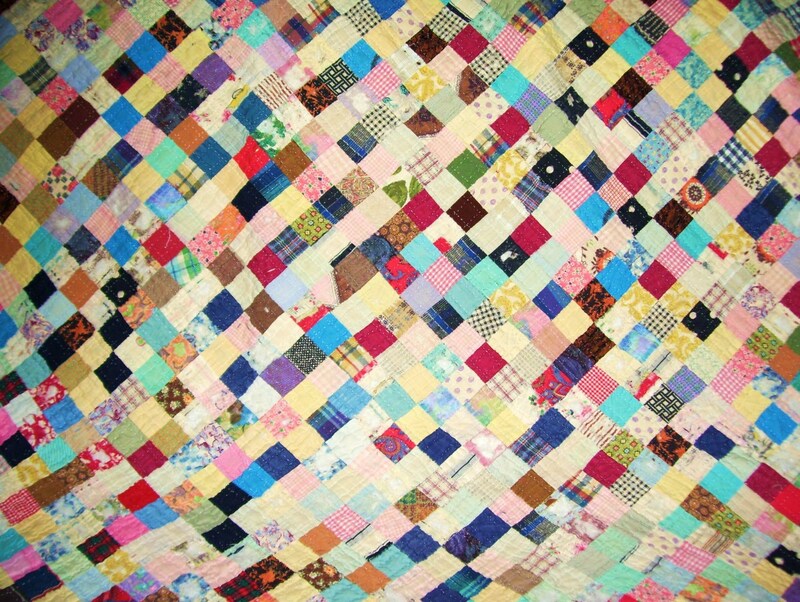 Nowadays, quilters often put a white path in, especially if they use pastel coloured fabrics for their flowers. A green path would overshadow the soft fabrics. 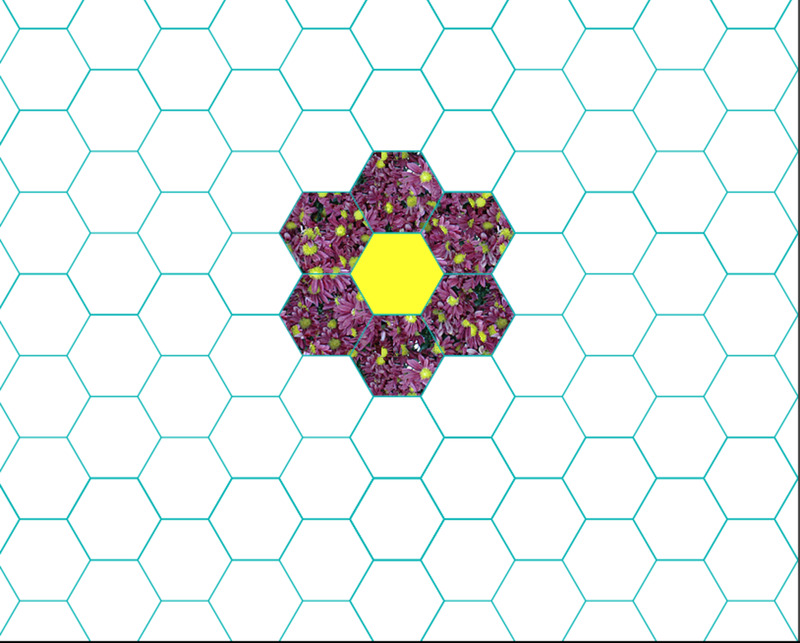 As before, start with a flower centre, build a rosette, then surround it with green hexagons. In the diagram, I left all the rosettes blank, so you could see the green path. You start in the centre and work outwards. In my design I 'joined' four hexagons to form a diamond shape. Next, I coloured all the way around that shape, which emphasised the diamond. I added one more row around. After that, I added the hexagons to each side of the centre diamond in order to alter the shape somewhat. Start your design in the same way. Continue until satisfied. Start with a photo of a simple landscape, or sketch one with not much detail. Begin by colouring a patch of sky. Don't forget to put in some clouds! Next, add some mountains below. Colour in the grass, a path and maybe some rocks. The simplest of the designs with additional shaped patches, you join the rosettes with diamonds and triangles. Colour rosettes side by side on isometric graph paper and begin to colour the shapes between. As you design, be mindful of whether your rosettes are light or dark, scrap or co-ordinated. The area behind them can either dominate or be background. 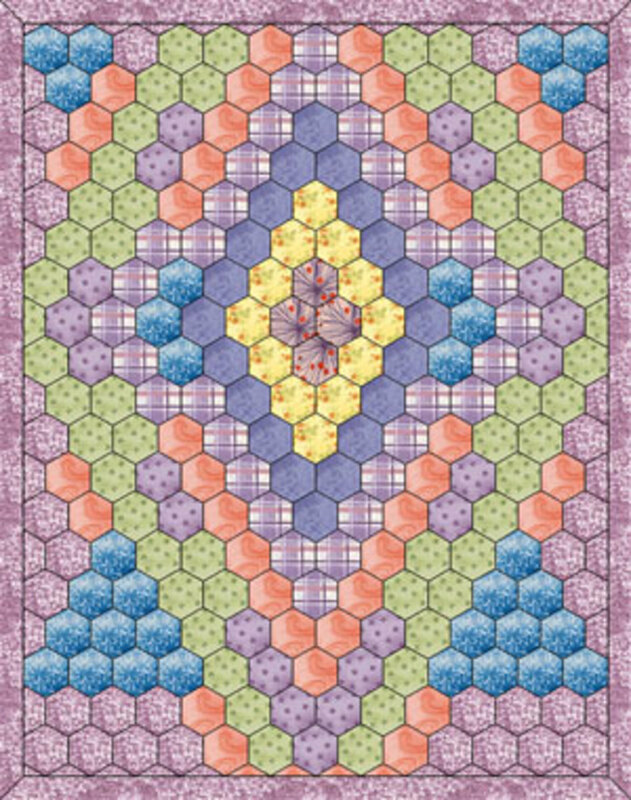 Another possibility is to make this the centre of a medallion quilt, adding rows of hexagons, or half hexagons, to surround the rectangular or square centre design. 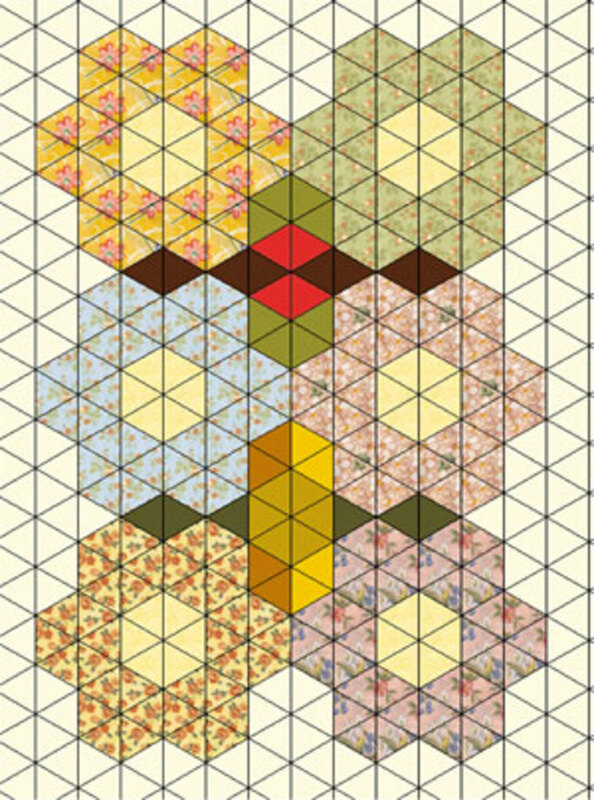 Now you are a hexagon quilt designer! 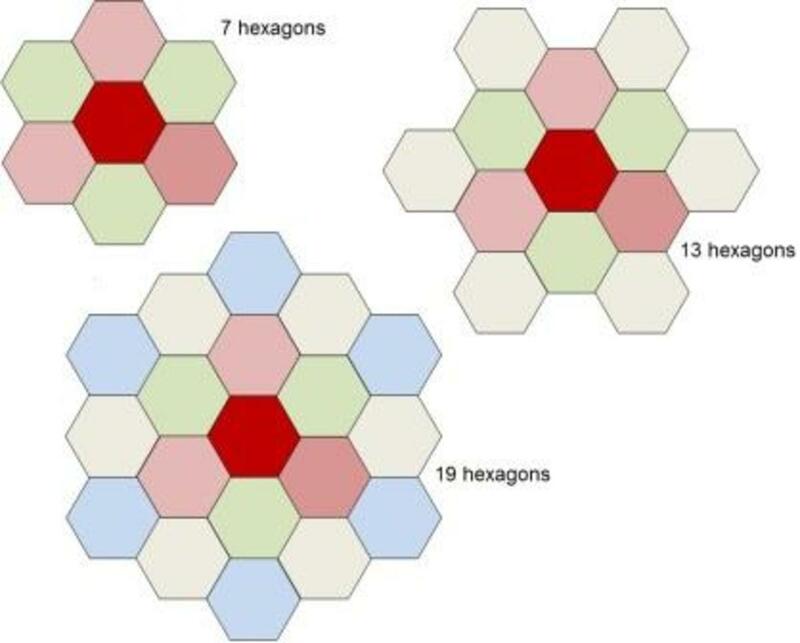 I became obsessed with the shapes derived from hexagons that I was playing with, especially the triangles and discovered a book based on these in 1986. It is long out of print, but that shape, born out of the humble hexagon tradition, became my specialty. 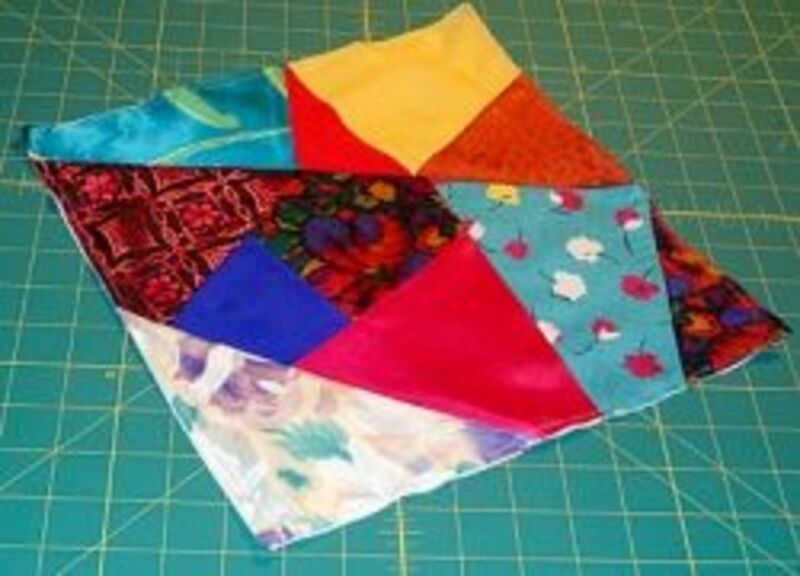 The other surprise was that you use rotary cutting and machine piecing to sew the designs. Much faster that English paper piecing! I began to teach people all over the eastern states of Australia to design with them. From simple to complex, they all start with isometric graph paper. What Kind of Flowers Grow In Your Garden, Grandma? Hope you start today, RTalloni. Let's go! And Chitrangada, thanks for the nice comment. 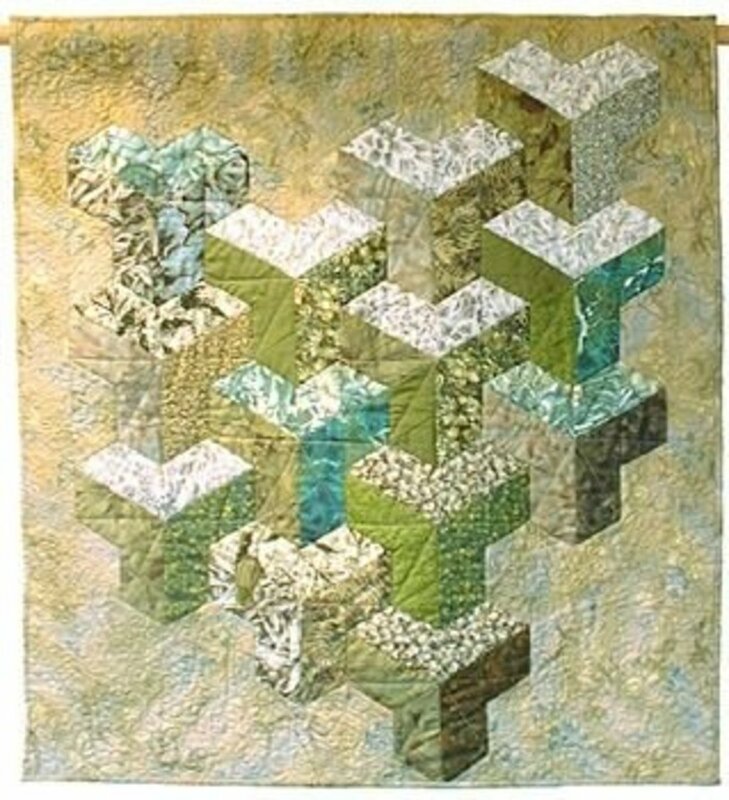 I love the landscape quilt! Now you've made me want to stop everything and design one! I always believe in recycling things , such as fabric or other materials. 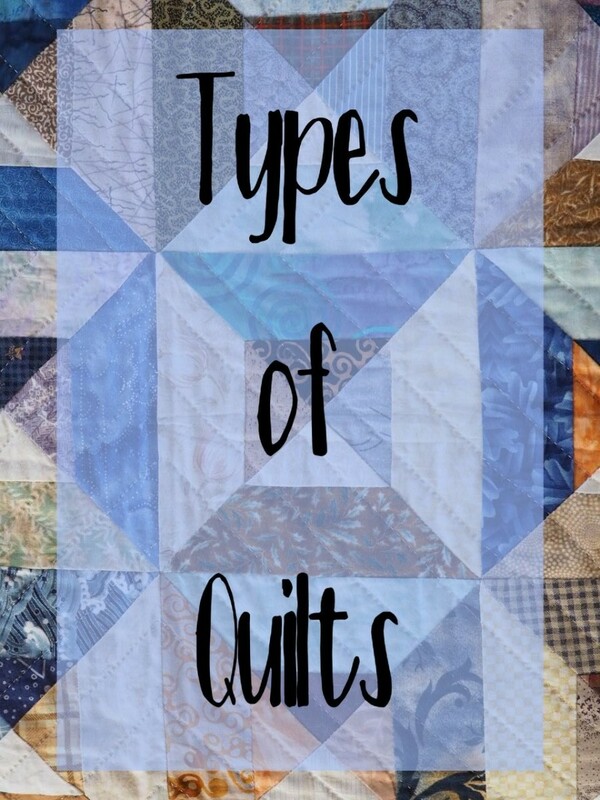 Your suggestions are very useful in creating beautiful quilts. This is definitely on my to do list. Thanks for sharing this well written and beautifully illustrated hub!